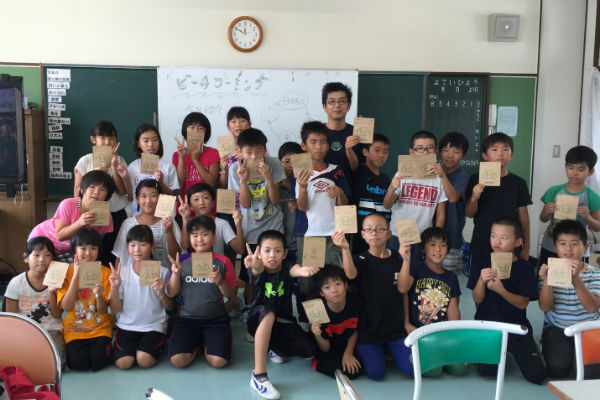 BeachMoney workshop follow up report from Misaki Labo, a BeachMoney shop in Kochi! 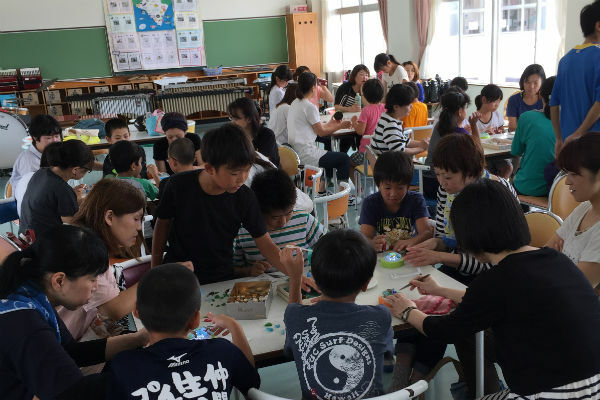 9/29/2016 BeachMoney Workshop at Muroto elementary school, Muroto-city, Kochi. All the public schools in this area have unique parents&kids workshop days called Gaku P, and I was asked to have a BeachMoney workshop as part of Gaku P at my son’s school. In my workshop I showed my beach glass collection as well as trash and marine debris such as pet bottle. Kids were interested in rare pieces, and also shocked by the story that many fish accidentally eat small pieces of plastic floating in the ocean. 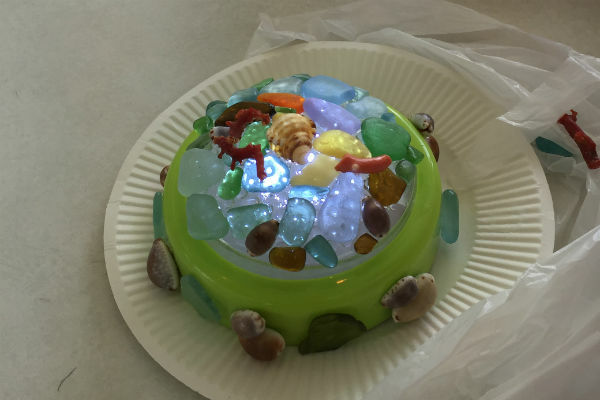 Then in part 2 we made original light with beach glass and shell. Everyone was absorbed in finding favorite pieces of glass and shell and worked hard to make their originals. At the end we had a group photo, and each participant received Little My Pocket, a reusable trash bag made by BeachMoney. I was able to spend a very meaningful time with the students even though beach cleanup was canceled due to high sea warning on that day. If you throw trash away, it’ll eventually comes back to you. Hope everyone received the message. A couple days after the workshop I saw a student from the workshop picking up a trash on the street, and that made me so happy! Everyone seemed to enjoy Mr. Miyazaki’s workshop on that day. Someday I would like to walk on the beach with him, have beer together and talk about our activities. I always want to give something back to our community and this is another motivation for me to keep running BeachMoney activities. I’m so happy to meet with someone who thinks in the same way and acts on his own. BeachMoney will support your workshop about BeachMoney and beach cleanups. Please contact us for free BeachMoney Guide & MyLittlePocket as needed. Workshop follow up report is required. I’ve got a permission to use pictures from the school. Beach Money workshop for 1 hour to their 3rd grade students! An article about Beach Money on Nihon Keizai Shinbun!